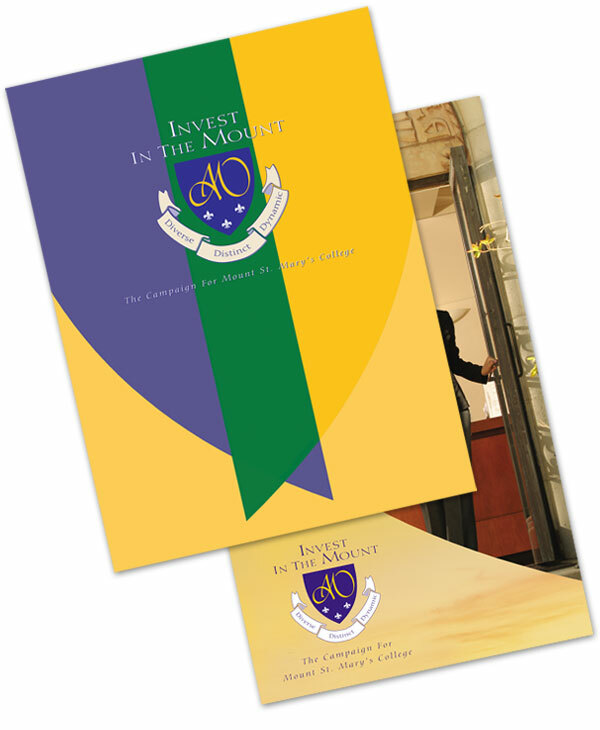 McGregor Shott was involved in the branding of Mount St. Mary’s College capital fundraising campaign from the beginning, starting with focus groups consisting of recent graduates, current staff and involved businesses. The resulting call to action and logo carried significance: The “M” in the shield represented the strength of the university, encompassing the Diverse, Distinct, and Dynamic possibilities for which a student can learn and thrive. The largest fund-raising campaign in the college’s history, the campaign raised nearly 100% of its 50 million dollar goal.